Our universe is ruled by physics and faster than light travel is not possible — until the discovery of The Flow, an extra-dimensional field we can access at certain points in space-time that transport us to other worlds, around other stars. Humanity flows away from Earth, into space, and in time forgets our home world and creates a new empire, the Interdependency, whose ethos requires that no one human outpost can survive without the others. It’s a hedge against interstellar war — and a system of control for the rulers of the empire. The Flow is eternal — but it is not static. Just as a river changes course, The Flow changes as well, cutting off worlds from the rest of humanity. When it’s discovered that The Flow is moving, possibly cutting off all human worlds from faster than light travel forever, three individuals — a scientist, a starship captain and the Empress of the Interdependency — are in a race against time to discover what, if anything, can be salvaged from an interstellar empire on the brink of collapse. The Collapsing Empire marks the beginning of what is sure to be another great sci-fi series by John Scalzi. 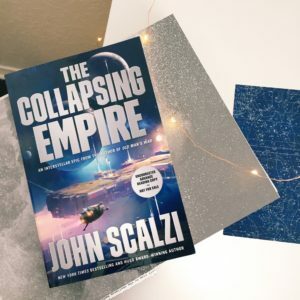 Amazing characters coupled with a compelling universe, with a bit of that hallmark Scalzi humor and vulgarity, make The Collapsing Empire a can’t-miss this year. 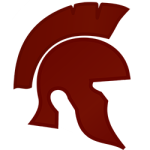 The Interdependency is a multi-star-system empire, led by an Emperox and run by noble Houses and their Guilds. The empire is able to function due to the existence of The Flow, an artifact of the universe that exists outside traditional space-time that links parts of the universe together. It still takes time to traverse it – up to 9 months to travel from Hub (the center of the Empire) to End (the last stop) – but that time is greatly reduced from the hundreds or thousands of years it would take to move around via traditional methods. Known only to a small handful of people, though, the Flow is about to collapse, spelling the end for not just the Interdependency, but for humanity itself. Along the way we meet several really memorable characters, like Kiva Lagos (a favorite of mine), Ghreni Nohamapetan (not a nice person), and the Emperox herself, Cardenia. Most fascinating of them all, though, is the Interdependency itself. The world-building is truly top notch in The Collapsing Empire, and I can’t wait to get more of it in the years to come. Seriously, it is kind of killing me that I’ve gotten into what looks like a great series on the ground floor because now I’m as beholden to the publishing cycle as everyone else! Book two can’t come soon enough! This sounds awesome!!! I’m definitely going to check it out. I love anything on interstellar space traveling and I’d love to hear about this “Flow” and how it works around the universe. My mind is spinning already!!! Thanks for the awesome review!!! Thanks Brittany! Let me know how you like it when you finish! The Flow is a really cool idea, both in concept and execution.